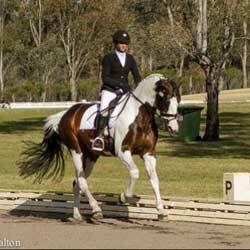 It was a sad decision to retire Visage from showjumping in hopes of maintaining his soundness for longer. But he loves to work so we decided a career change might be in order. 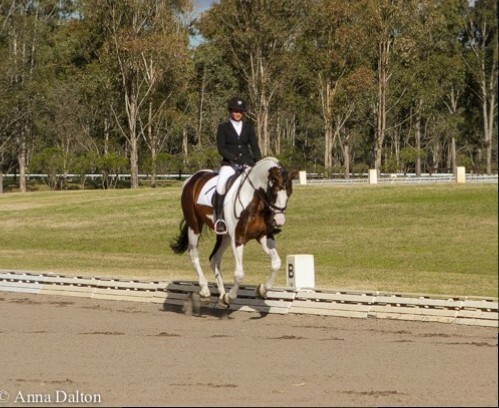 His first outing as a dressage horse was a bit of a challenge. 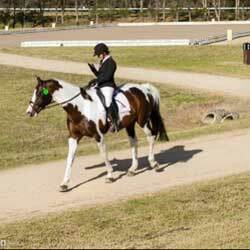 Neither he nor Brooke had ever competed at a dressage competition, so heading off to do the Elementary classes at the 2015 Hawkesbury Dressage Championships at SIEC was a leap of faith. And it paid off. 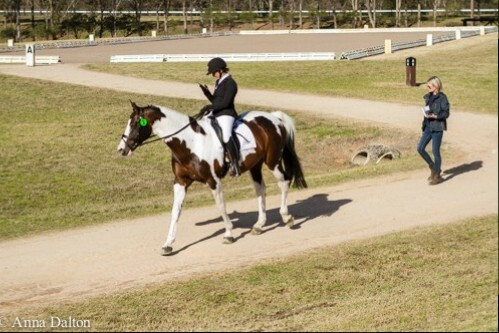 Visage was definitely excited to be back out, and he was looking for the jumps in his first test, resulting in a few tiny glitches. But he still finished with a score in the 60s and in 4th place. By the second test, he had settled down to this new role and it was seamless. 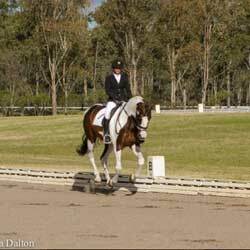 In fact the judge at C had him winning the class overall on 69.167%, but the judge at E was oddly tough on him, resulting in an overall score of 64.58% and 3rd place. 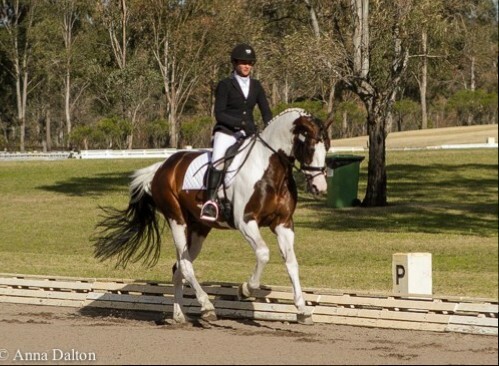 A great result for a newcomer, and his rider actually even seemed to be enjoying herself! 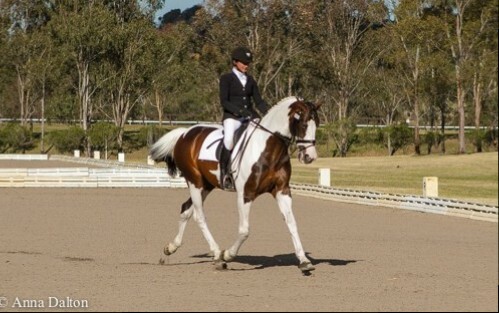 Then Brooke had a nasty accident and the dressage career was put on hold. But they finally had their next outing, again at Elementary at SIEC in the 2016 AWHA competition, and again they did not disappoint, finishing 3rd in the official 3.3 with scores in the 60s once again.